Come with us and take a look at the Internet euphoria and idiocies of the turn of the millenium. 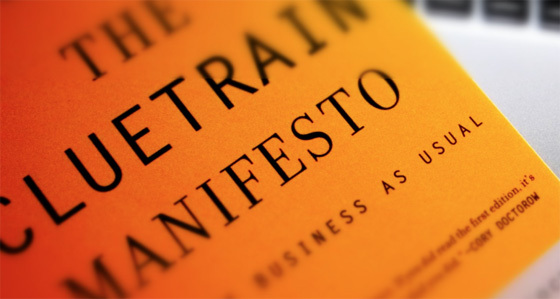 Here is the Cluetrain Manifesto, published in 1999 to the web and in 2000 as a book of essays. There you will find the English Wikipedia article on the Manifesto. We also provide you with a link to the rather short and dry German Wikipedia article. And finally, this is what the TinyTalk scientific department had to say, confirm and amend in 2000, 2001 and 2006 in its analysis of the first nine of the ninety-five theses of the manifesto. We proudly stand by these results in 2018. Amen. 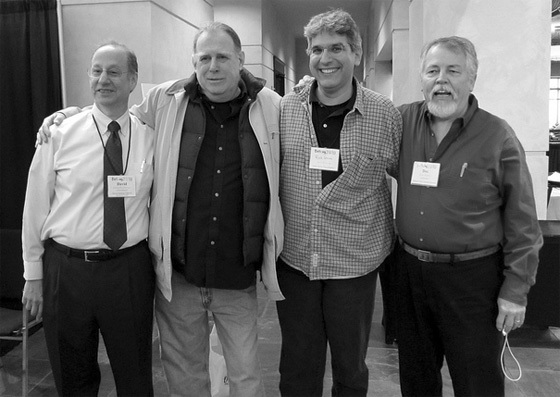 These are the 4 gurus in their later years, still grinning and proud of their youthful nonsense.